Since it’s starting to get warmer in NYC, I decided to post the first photo, this year, of an outfit NOT consisting of a winter coat and riding boots. Personally, I think this epitomizes the “preppy style” for less. The oxford gives off a professional, clean-cut look, but the Sperrys make the outfit more casual. Paired together really brings a nautical feel. I finished the look off with my Banana Republic Brown Leather Tote, which breaks up the blue and navy. < Previous Who needs a boyfriend when you have boyfriend jeans? Next > Blending up a Summer Bod! 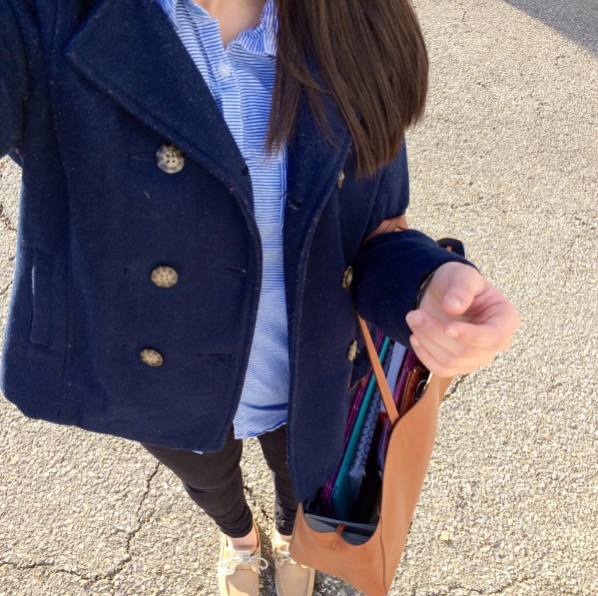 I Love your Preppy Style! !